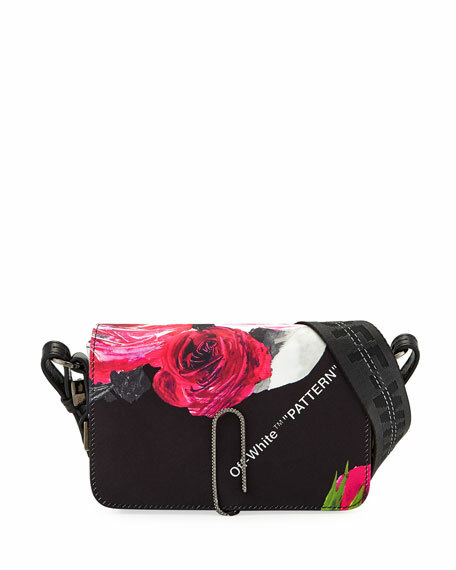 Off-White floral-print fabric bag with faux-leather trim. Flap top with logo print. Interior, leashed crystal paper clip. 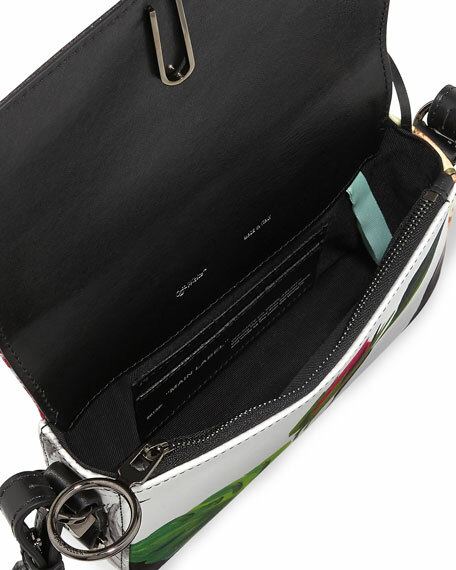 Zip compartment; multiple card slots. 4.7"H x 7.1"W x 2"D.
Chloe suede crossbody bag with antiqued brass hardware. Available in multiple colors. Adjustable shoulder strap, 22" drop. Braided horseshoe flap top with embossed logo. Slide-ring tassel closure. Open pocket concealed beneath flap. Interior, twill lining; one open pocket. 6.5"H x 7.5"W x 3"D. "Marcie" is made in Italy. Oscar de la Renta crossbody bag in dyed calf hair (Italy) with suede trim. Golden chain shoulder strap, 24" drop. Oscar de la Renta crossbody bag in dyed calf hair (Italy) with suede trim. Golden chain shoulder strap, 24" drop. 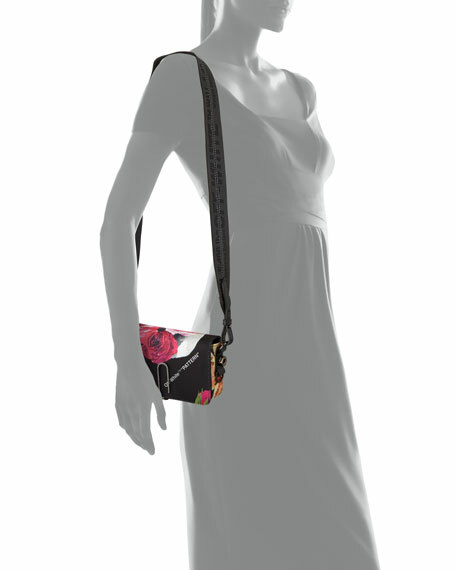 Flap top with large flower appliqué; push-lock closure. Exterior, slip pocket at back. Interior, suede lining; slip pocket. 5.3"H x 6.5"W x 2.8"D. Made in Italy.